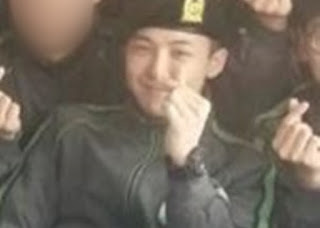 Best Achievement With High Integrity, G-Dragon become an Army Instructure Assistant - G-Dragon makes a great performance not only in music but also in military. He shows his integrity and loyality to his duty in the military. As a result, G-Dragon be appointed as army instructure assistant in White Skull division. After passing training in Gangwon-Do with incredible result, G-Dragon officially be appointed as infrantery Militar 3, in White Skul division. With this, G-Dragon officially becomes South Korea Army Infrantery Military Command 3.